There’s a lot of Italy left to explore in between. While you’re traveling between Venice, Florence, and Rome, there are a number of easy stopovers that can enhance your trip, put those larger cities’ artistic treasures in perspective, and, of course, give you a chance to stretch your legs enroute. Though it’s a bit out of the way (about an hour off the main road), Ravenna is an excellent stop because the city’s art is so relevant to that of Venice. 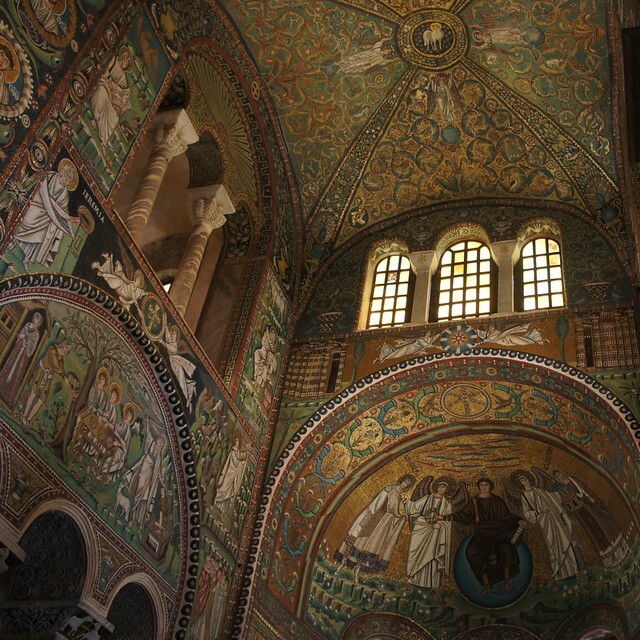 Ravenna’s two cathedrals, San Vitale and Sant’Apollinare Nuovo, are decorated with resplendent 6th century Byzantine mosaics, glittering masterpieces of gold and colored glass tiles that predate the mosaics in Venice’s Basilica of San Marco by 200 years. Seen in the same trip, Ravenna and Venice give you a unique understanding of the evolution of early Christian art. 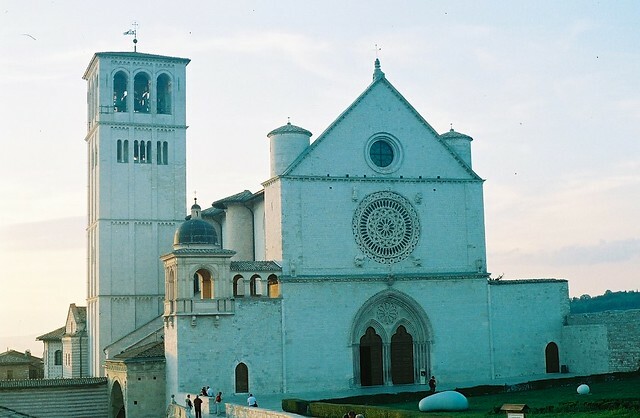 Modena may be known worldwide for its aged balsamic vinegar, but its unique cathedral deserves just as much attention. Begun in 1099, the long, low structure is one of the best-preserved Romanesque cathedrals in Italy. On a more modern note, Modena is a mecca for car enthusiasts with no less than five automotive museums. In nearby Maranello, you can also visit the Ferrari museum and test-drive some models. Take a look at our list of favorite car museums in this area if you love Italy's sleek sports cars. One of Italy’s most important food capitals, Bologna is the perfect stop for lunch when traveling between Venice and Florence. Though it’s well-known for its meat dishes (including meat ragù and mortadella), try the hand-rolled fresh egg pasta (sfoglia), which comes in a number of shapes and sizes from tiny meat-filled tortellini to broad tagliatelle ribbons. One of the best past dishes Maria Gabriella ever ate was at Drogheria della Rosa in Bologna. 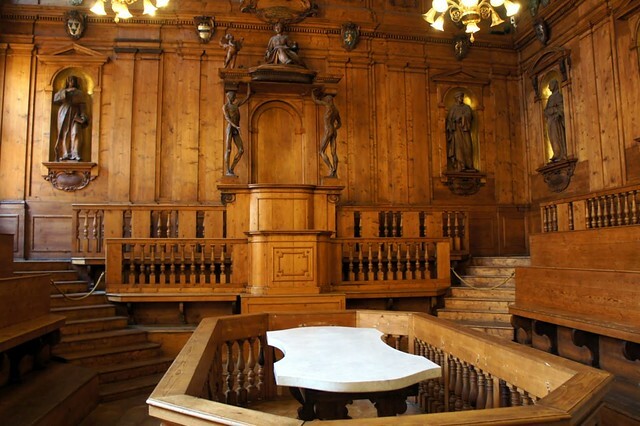 Before – or after depending on your tendency for queasiness – visit the famous wood-paneled anatomy (a.k.a. dissection) classroom of the nearly 1,000-year-old medical school. 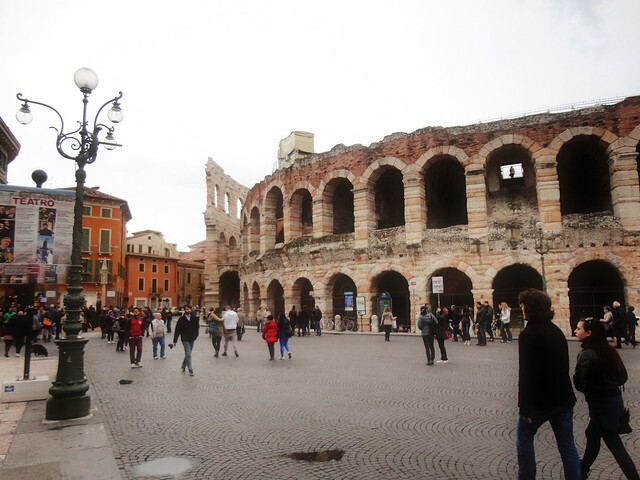 Though Verona's most visited sight is Juliet's balcony, this being the place where Shakespeare set his famous tale of star-crossed lovers, this small but cosmopolitan town offers much more to visitors. The incredibly well-preserved Roman Arena (where concerts and events are still held today), the ornate Gothic Scaligere tombs, the designer boutiques lining Via Mazzini and Corso Porta Borsari, and the excellent local restaurants and cafés make this a perfect stop almost precisely halfway between Florence and Venice. 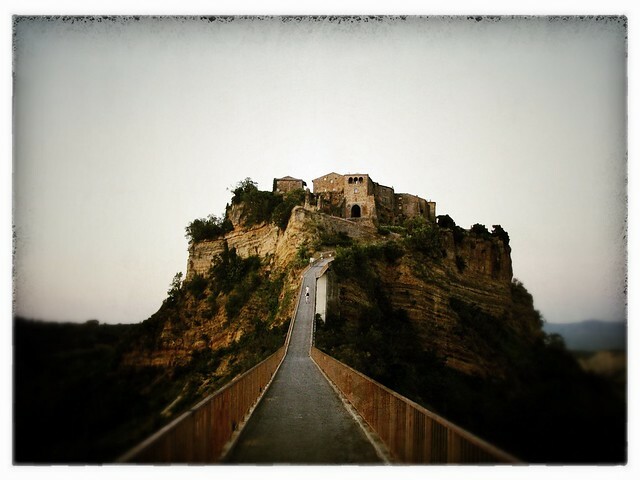 Like Ravenna, Civitá di Bagnoregio is a bit out of the way (a half hour off the A1 and a steep walk up a pedestrian bridge), but worth a visit. Built on top of a 1,450-foot-high plateau, the site has been occupied for since the Etruscan first settled here over 2,500 years ago. Over the last five centuries, the edges of the town have begun crumbling off the steep cliffs surrounding the town, exposing a strikingly striped sheer cliff face on several sides of the plateau. The ancient Etruscan city of Orvieto lies right on the main route between Rome and Florence – an important road even in ancient times. In 2006, on the plain below the city, archeologists found the Etruscan federal sanctuary, a central convening place for Etruscan leaders. 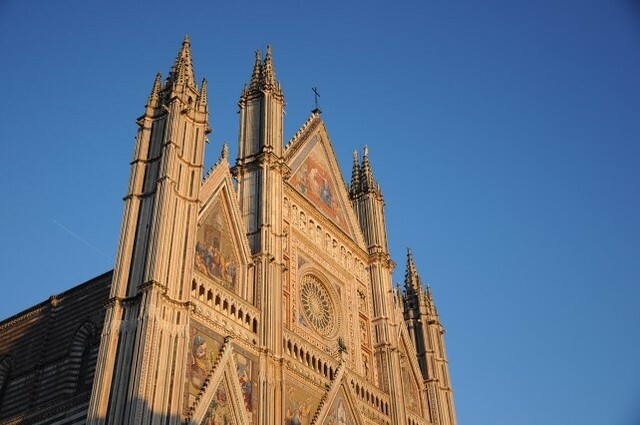 Like Cività di Bagnoregio, Orvieto is perched on top of a dramatic rock plateau high above the surrounding countryside, and its cathedral, glittering with ornate mosaics on its outstanding façade, can be seen from miles around. 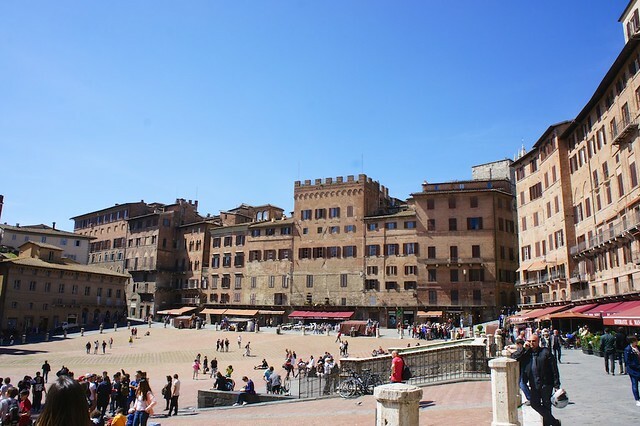 Siena was once Florence’s most powerful rival, and its town center rich with Renaissance art and architecture is testament to this Tuscan town’s former wealth and influence. The town’s (un-finished) cathedral was destined to be one of Europe’s largest, until the outbreak of plague and war with Florence halted construction. In the existing nave, the original floor, with 56 panels of ornate mosaics created between the 14th and 16th centuries, is only uncovered and shown to the public for about month every year, so don’t miss it if you’re passing through in September. If you want to score fashions by top Italian designers while you’re in Italy, wait till you get to The Mall to spend your money. Thirty minutes outside Florence in the tiny suburb of Leccio-Regello, The Mall is a bargain fashionista’s paradise. Valentino, Armani, Gucci, Tod's, Loro Piana, Ermenegildo Zegna, Balenciaga, Ferragamo, Bottega Veneta, Pucci, Fendi, and Cavalli all have outlets here, and discounts range from 20% to 70% off retail. Though it’s definitely out of the way – but only by a gorgeous one-hour drive along Rome's Tiber River and the historic Roman Via Flaminia highway which runs from Rome to Rimini – we can’t help but recommend a day trip to Umbria. 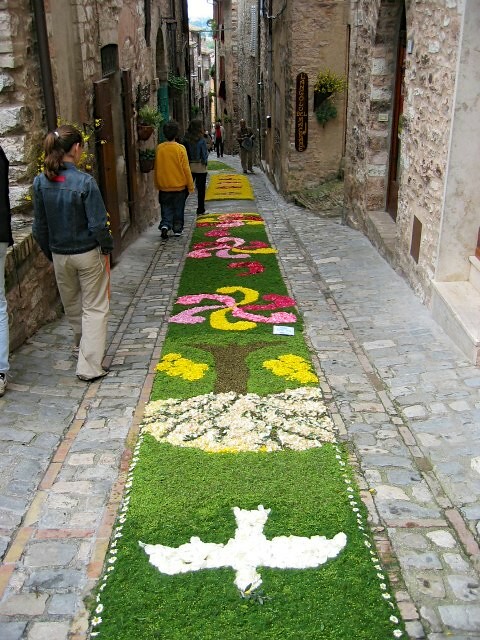 Spello, a postcard-perfect Medieval hilltown, is best known for the floral carpets – perhaps better described as flower petal mosaics – that decorate the streets every year for the Feast of Corpus Domini in May or June. Even if you can’t be there for the Feast Day, the Baglioni chapel fresco masterpieces in Santa Maria Maggiore by Pinturicchio, who worked with Perugino on the Sistine Chapel, are open all year. Some of the late Gothic period’s most important artists, including Giotto and Cimabue, frescoed sections of Assisi’s imposing Basilica of San Francisco, honoring the city’s most famous citizen. Assisi also played an important role in the 20th century by hiding a number of Italian Jews and members of the resistance during WWII. The city’s Museo della Memoria preserves the press used to print false documents for these refugees, along with letters, photographs, and video interviews. Another idea to break up a trip between Italy's cities is to add in a day at the seaside. There are a number of beach destinations that can be fit in as a day trip or a stop along your travel itinerary.